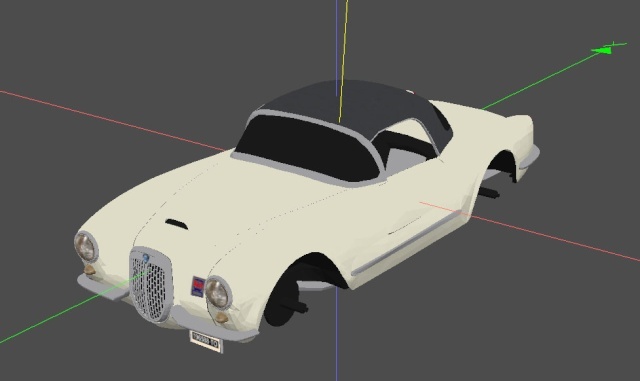 Hi all, I found a 3D model of one of my all-times preferred car since I got a 1:18 Bburago model of it: the Lancia Aurelia B24 spider! In the zip there is a .max file, and some texture (but it seems no body skin). I started to work on it but every time I try to export to 3ds and bring the parts in 3Dsimed, it seems to be not working: in 3dsimed I got only the xyz axes and nothing else. I also tried using some tools like Zmod, 3DObjectConverted but cannot do anything. 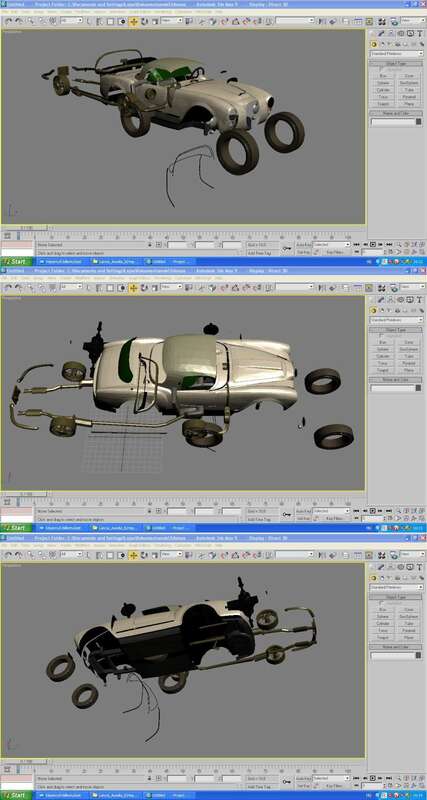 Please, can someone help me or have a try to convert the 3D objects? Thank you for any kind of help! Just couldn't help myself; had to post the following. A true classic! Produced only in 1954-1955, 240 cars were built. 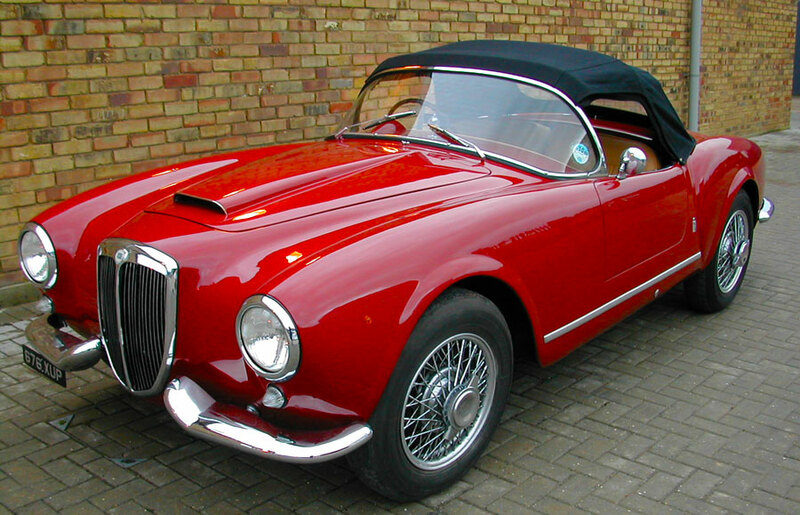 Panoramic front windscreen, distinctive 2 part chrome bumpers, removable side screens, soft top and Pinin Farina styling. 181 LHD cars with B24S ('sinistra') designation; rest, 59 cars, were RHD. All were equipped with 2,451cc engines. Dashboard features 1 prominent and 2 small dials. The car is really beautiful. I hope, drionita be created this! @Boxman: I too, GTL misses some classic like this one! I also tried the parts separately and no results. Yes! How did you get that? In 3dsMax I placed in the center. 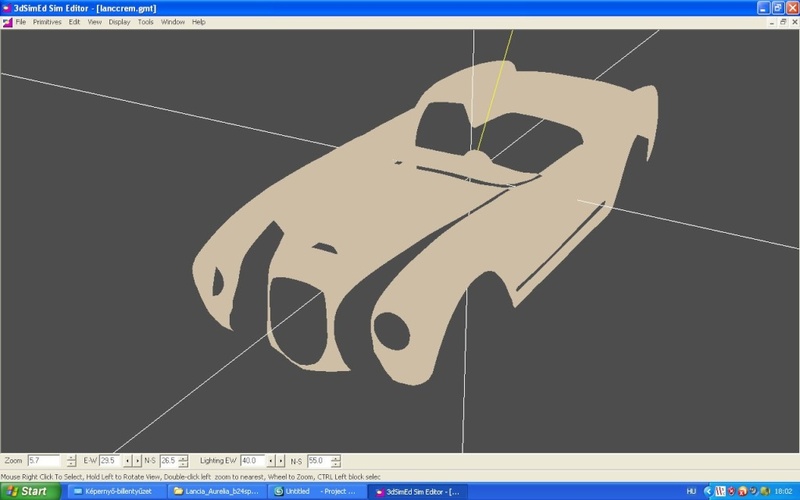 Open 3ds file in 3DSimED. Top! Maybe we could turn this beautiful car in a "forum wip"
Lets all live in great hope for this lovely car... cheers for this drionita. I've been able to get all the parts in gmt format. Thank CarTOON for the normals hint, now it looks so much better! Looking better and better! Wish I knew something about modelling...but alas, I'm as dumb as a rock in that department. Keep on keeping on, drionita (and carTOON)! Am absolutely in love with entire project. Have said it before, and I'll say it again...a true classic! Yes, NEChris, the goal is to do some nice racing skins! But I need some 3D skilled man to do a proper template, as the model I found hasn't got any, sadly.